The Apply Image Transformation effect is mainly used when you want to pan an object out of the camera frame and that object has an effect such as a Glow or a Blur on it. 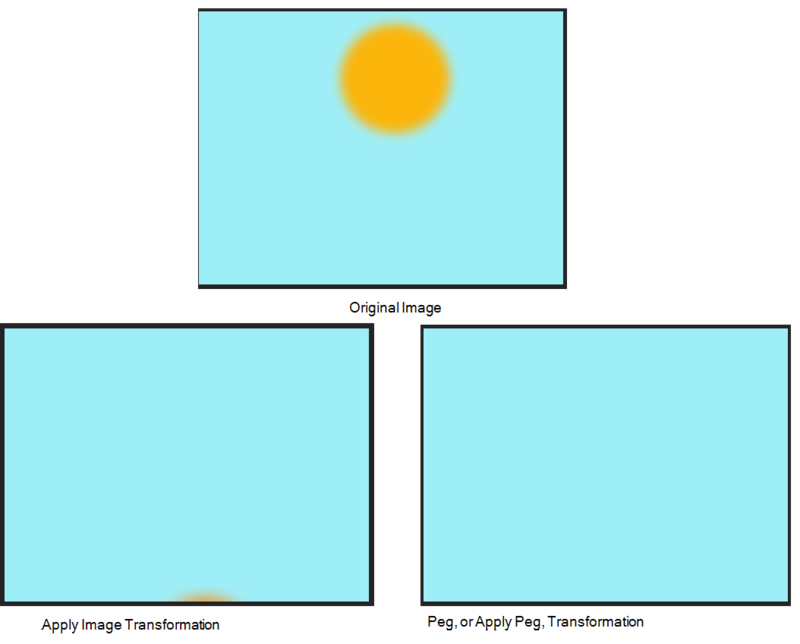 When you use a peg or the Apply Peg Transformation module to translate an object such as the sun out of the camera frame, as soon as the sun starts to go outside of the camera frame, the sun's circle is cropped and the blur is applied on the shape left over. This also means that when the sun is completely out of the frame, the Blur is not calculated anymore and the Blur pops out. To prevent this from happening, you must use the Apply Image Transformation module to pan the sun out. Look at the following example to understand better why using the Apply Image Transformation instead of a regular peg or the Apply Peg Transformation module. The normal rendering behaviour is to crop the image before applying the effects. 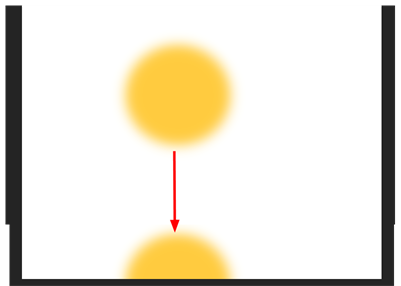 When planning a sunset using either a Peg or the Apply Peg Transformation module, as soon as the drawing of the sun is out of the camera frame, the drawing is cropped and there is no image left to blur. This means that the glowing edge pops out of the camera instead of panning out gradually. 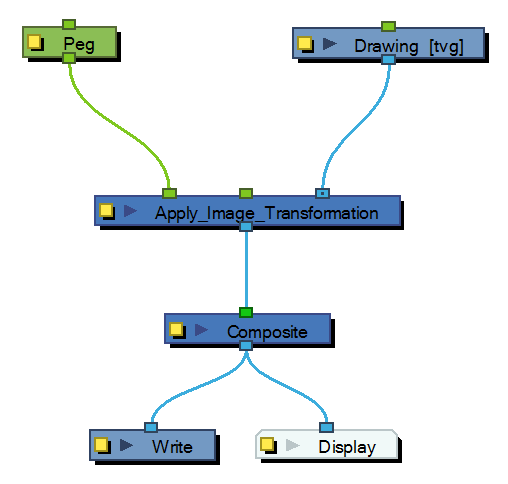 Using the Apply Image Transformation module, the image is blurred before being panned out, so this means that even once the drawing is out of the camera frame, its glowing edge will still show until the drawing is far enough from the camera border. This way, there is no pop when panning out blurred objects. 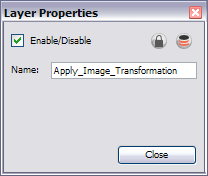 Use the Apply Image Transformation editor to change the name of the module.